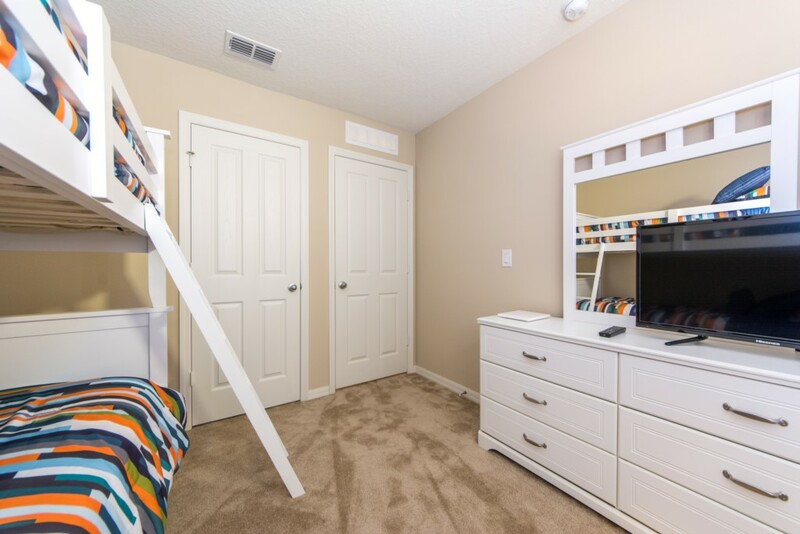 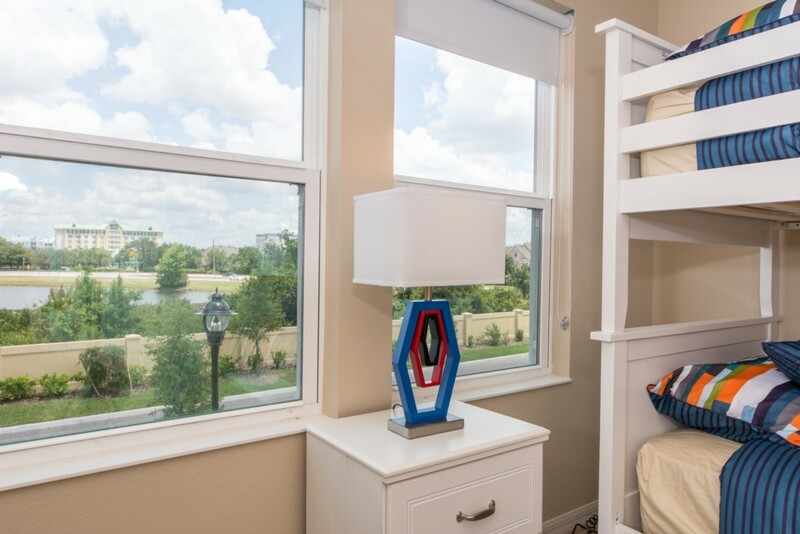 Our fully furnished vacation home is the perfect retreat for families looking to enjoy the theme parks and sunny Florida weather. 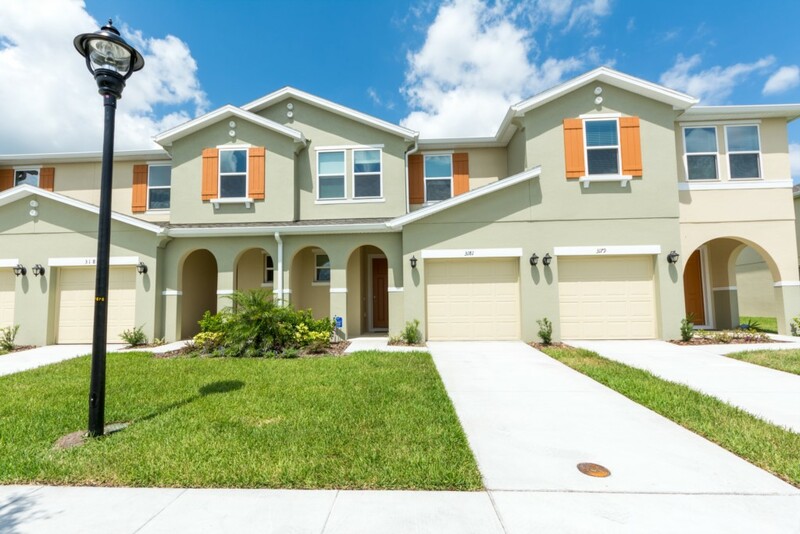 This two story home features Wi-Fi, Cable TV, Washer/Dryer, community pool, playground, fitness center and so much more! 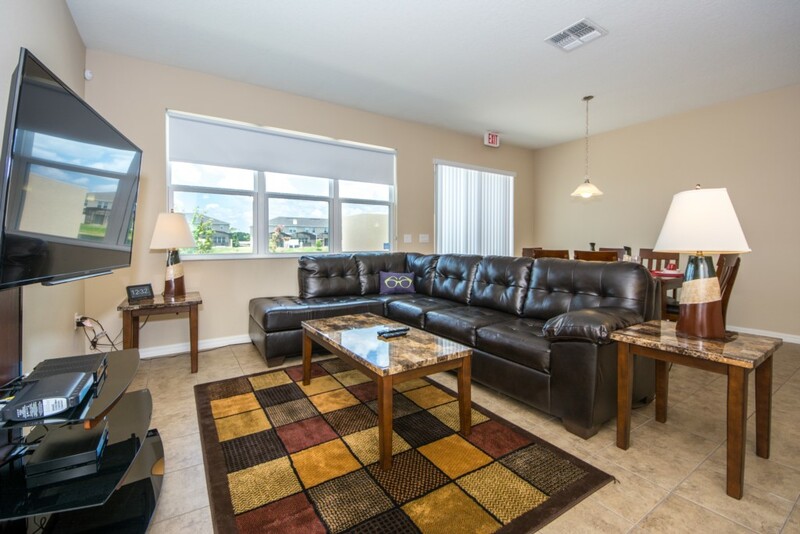 Enjoy all of the comforts of home on your vacation! 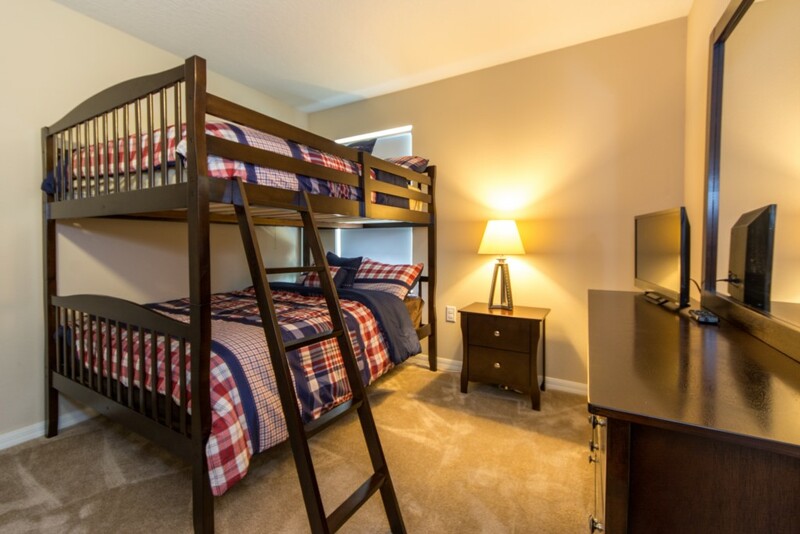 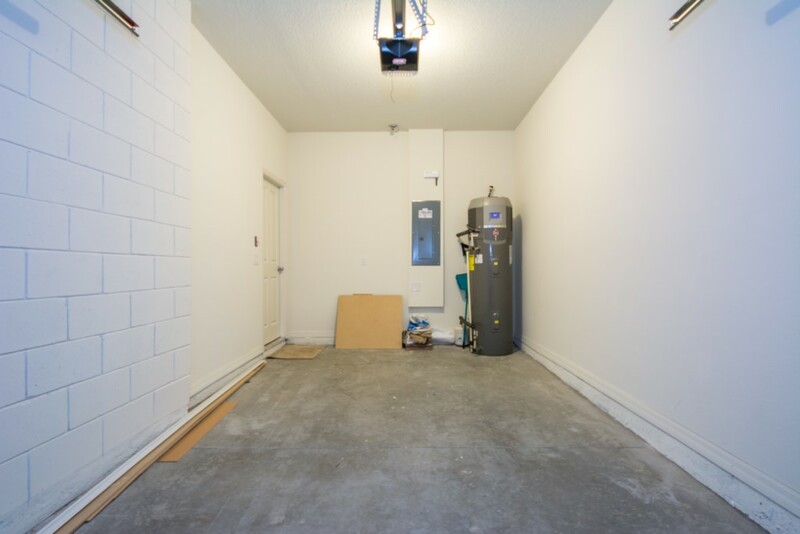 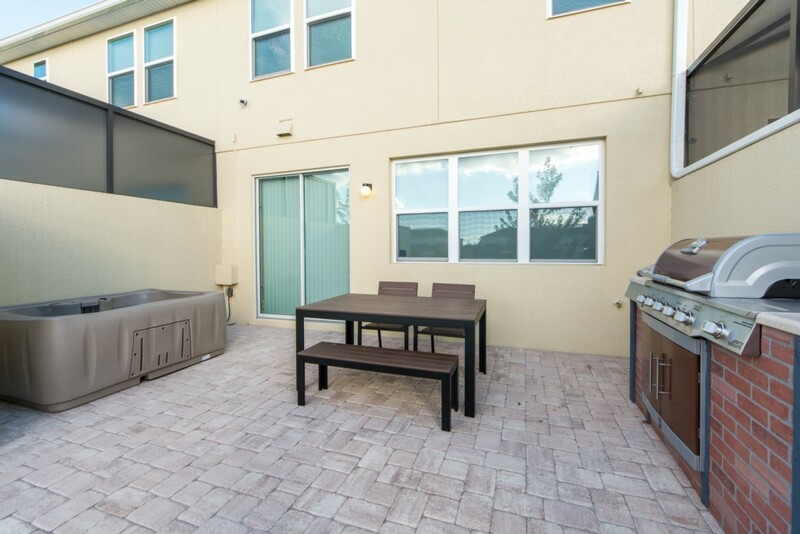 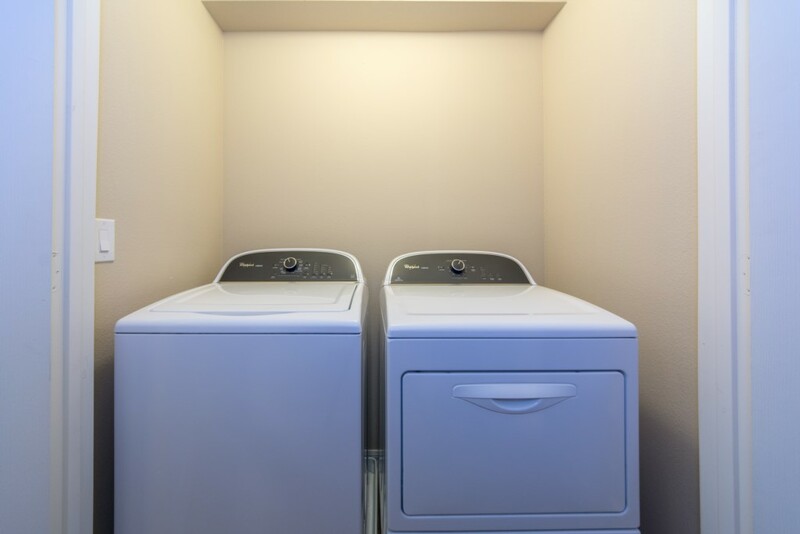 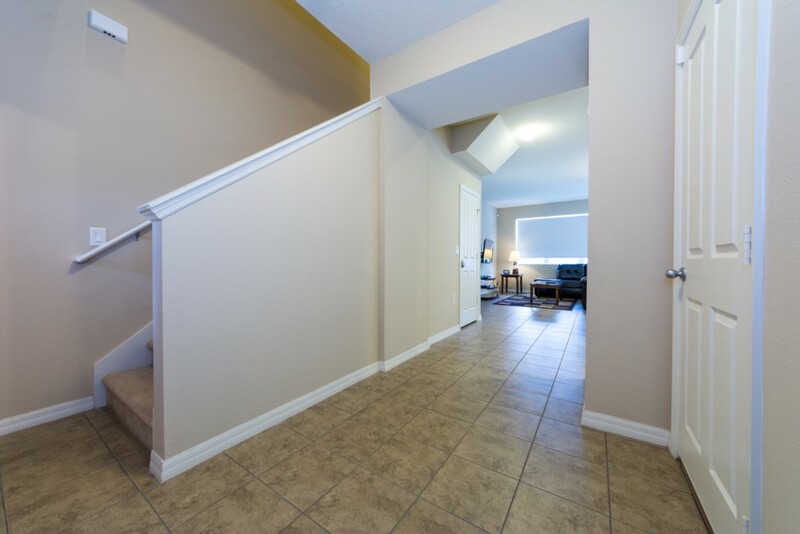 This comfortable townhome comes with a fully equipped kitchen along with bed and bath linens for your convenience. 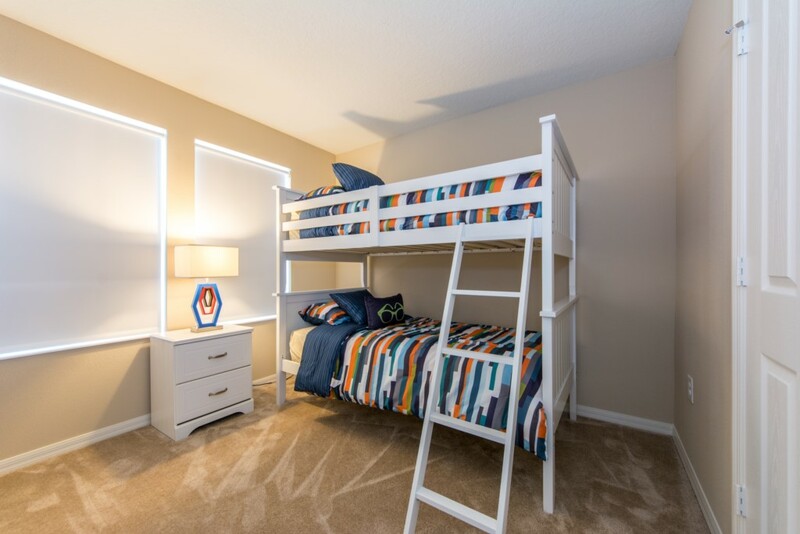 There are 4 bedrooms on the 2nd floor that can accommodate 8 guests, so there will be plenty of space for the entire family. 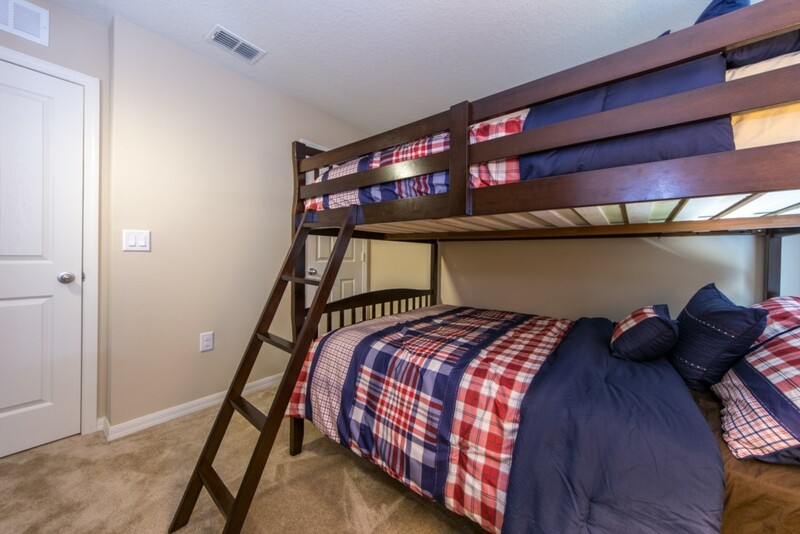 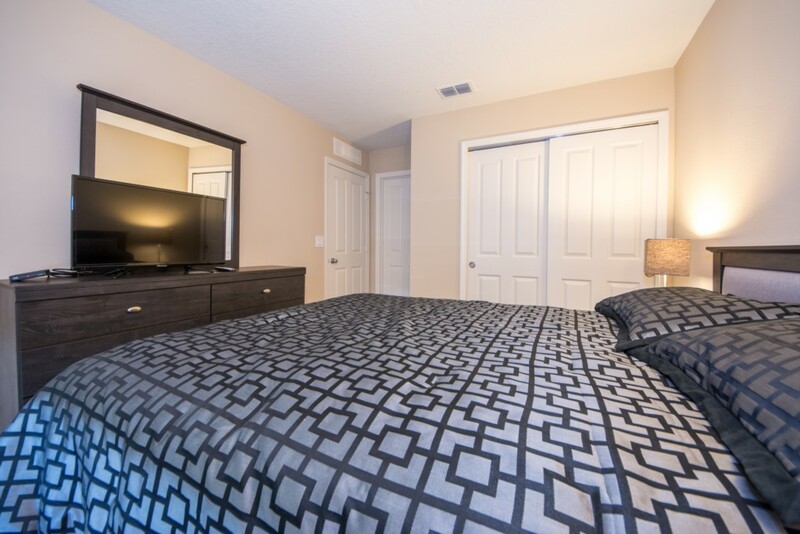 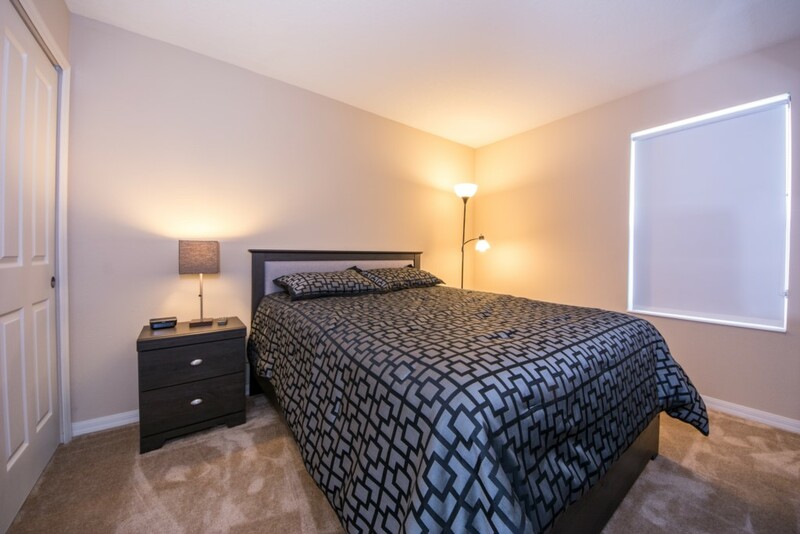 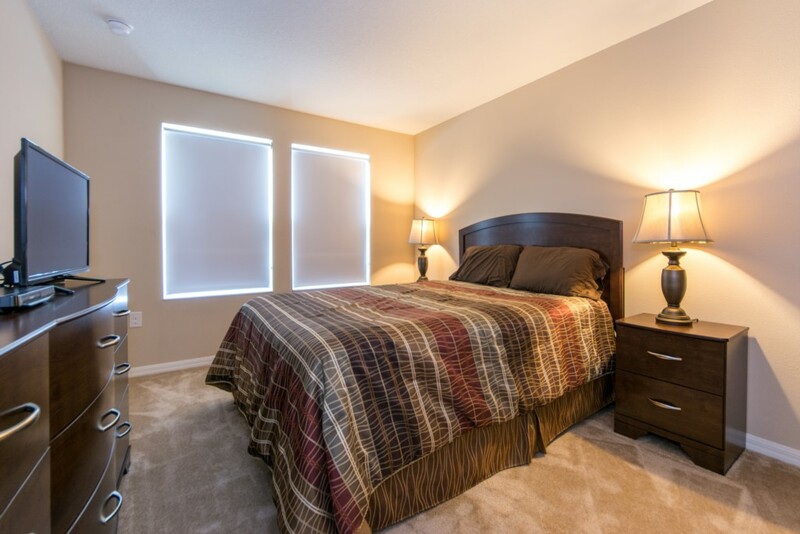 1st, there is a master suite featuring a queen sized bed, the 2nd bedroom features a queen sized bed and the 3rd and 4th bedrooms each have both full and twin beds. 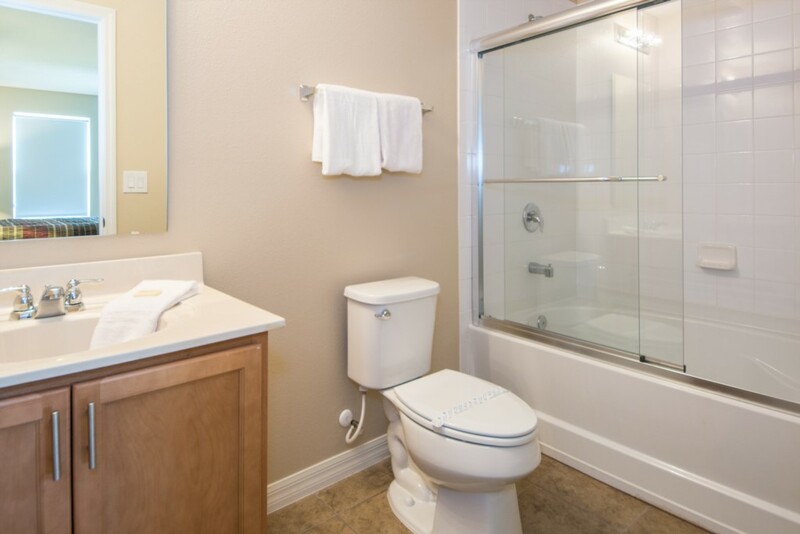 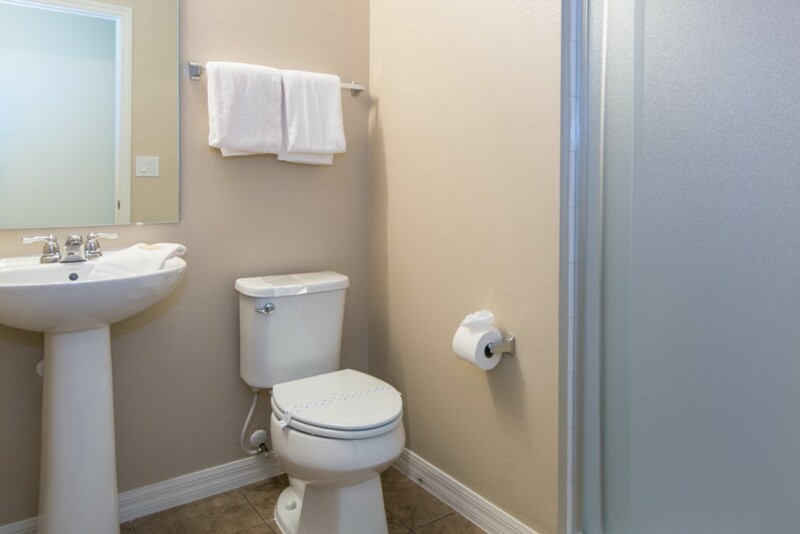 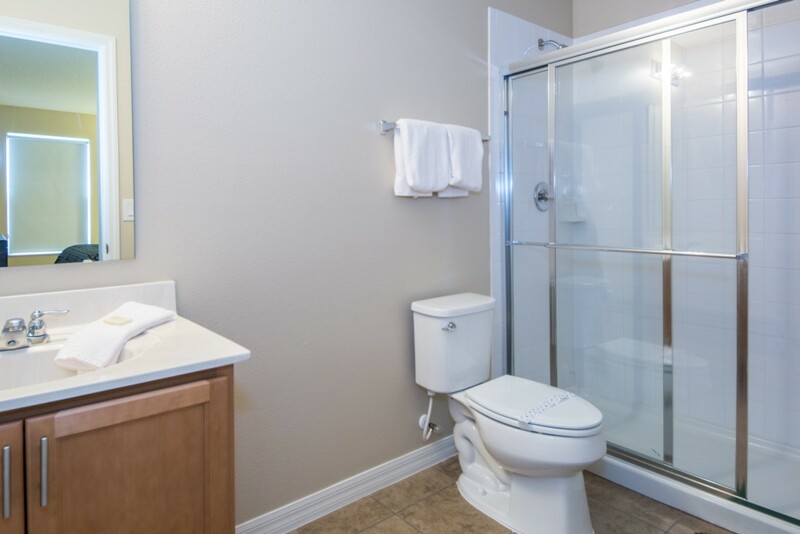 The master suite contains a private bathroom while the other bathrooms are conveniently located for other guests. 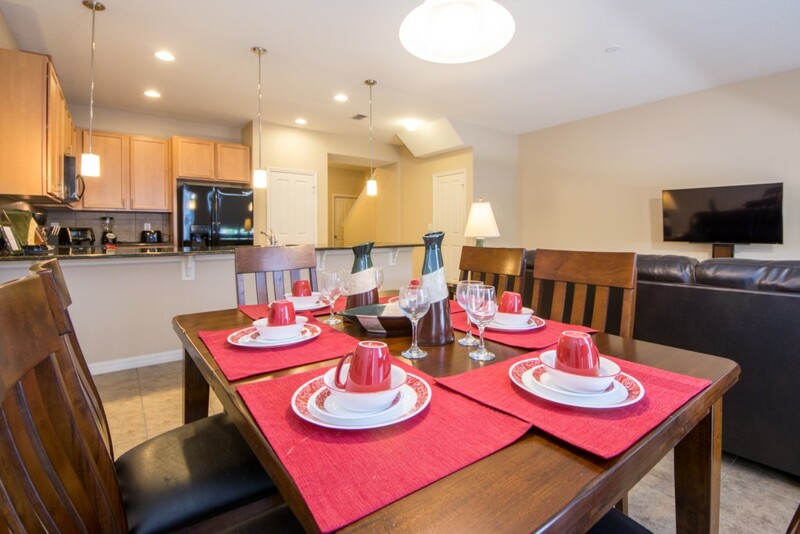 Enjoy dinner while watching the fiery orange and searing reds of the sunset from your patio. 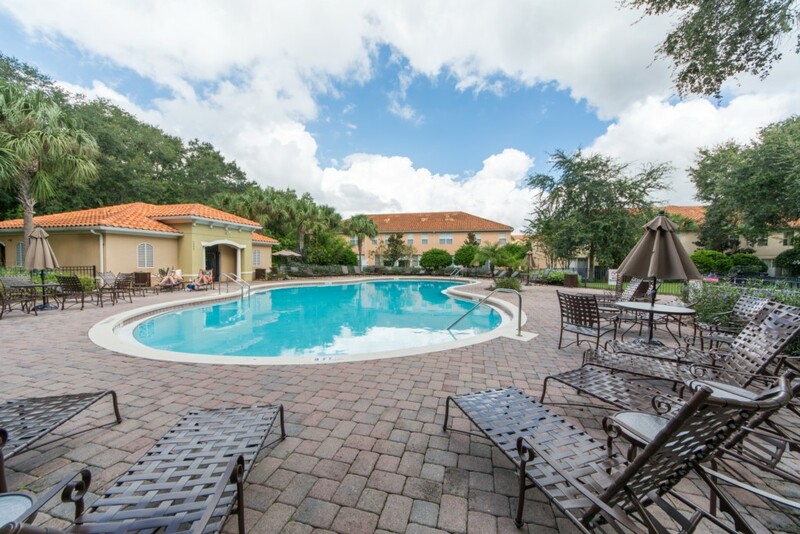 After a long day of enjoying Orlando, enjoy TGI Fridays, Red Lobster or Pizza Hut. 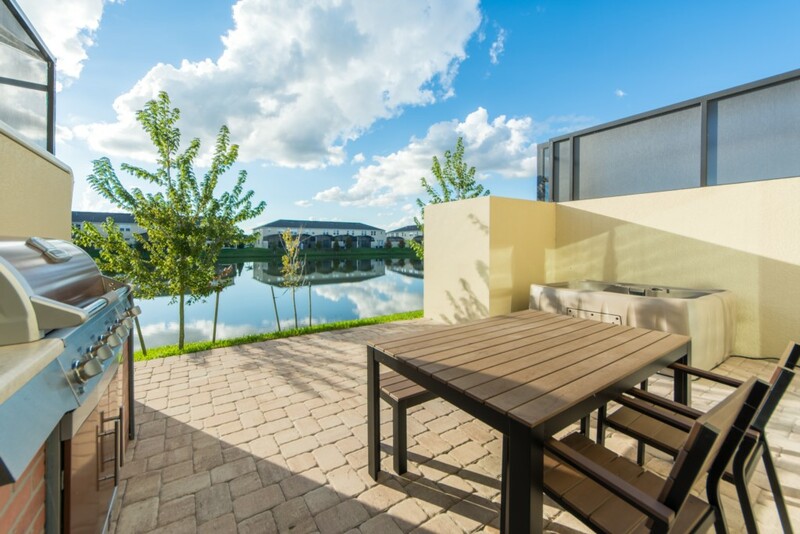 In the mood for something a bit more exciting? 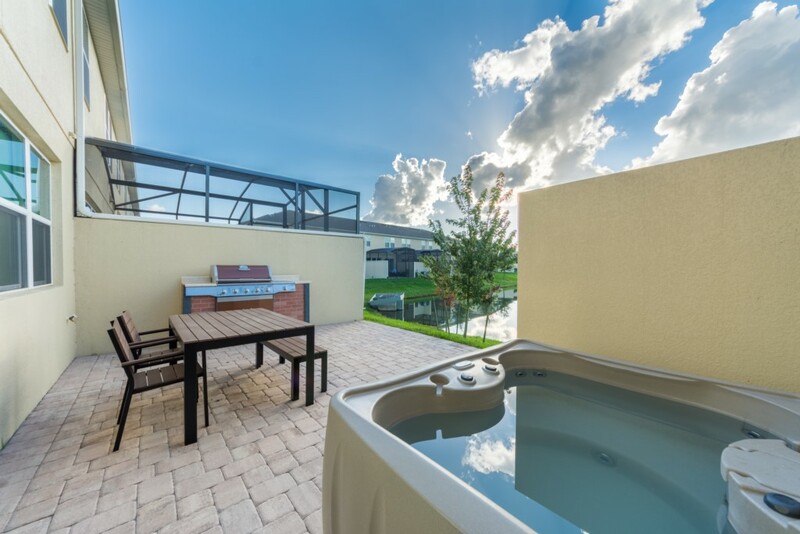 Universal Orlando’s City Walk is a short 25 minute drive and features Jimmy Buffett's® Margaritaville®, Bob’s Marley’s, City Walk's Rising Star™ or dance the night away at The Groove. 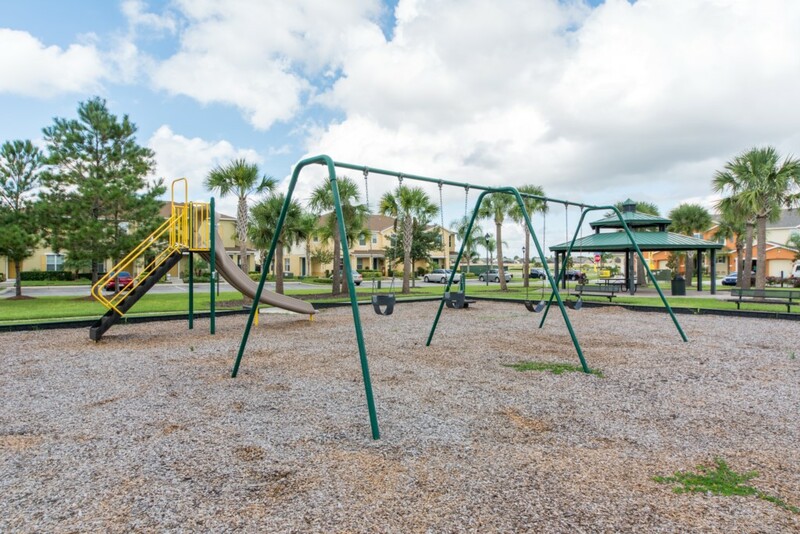 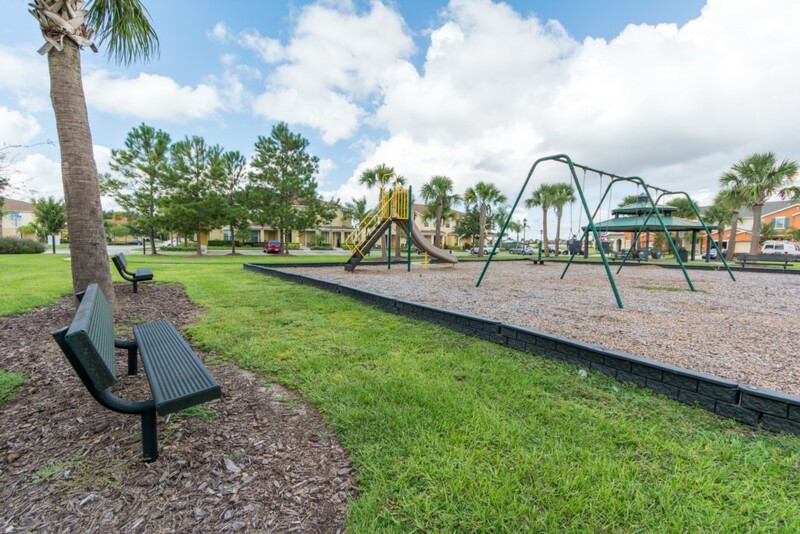 Compass Bay Resort is a gated community for your safety and security. 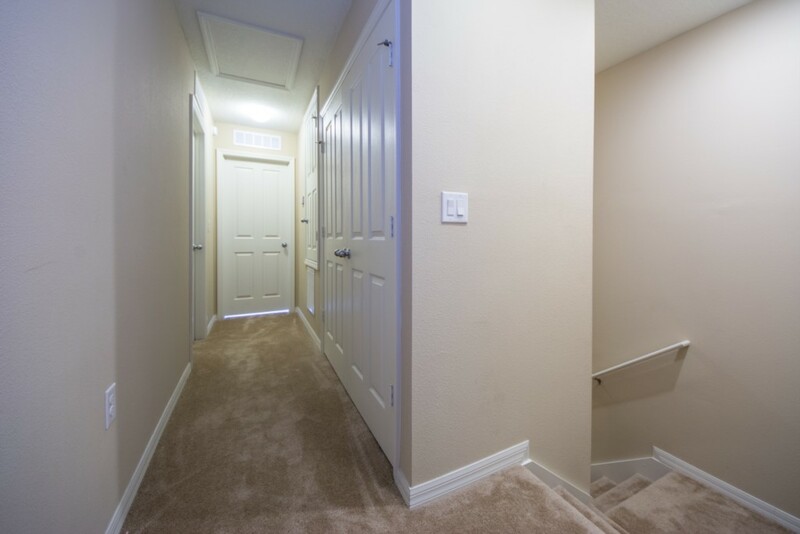 A gate code will be issued to you before check in. 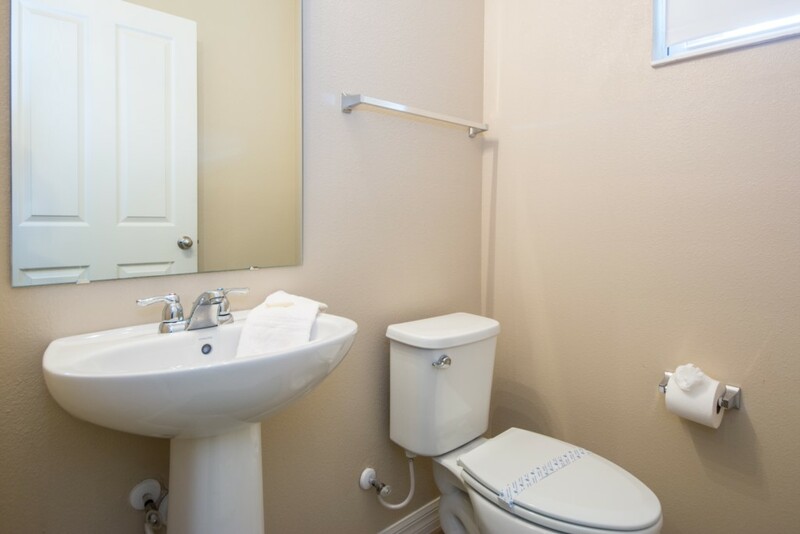 Additional Household Amenities are available upon request. 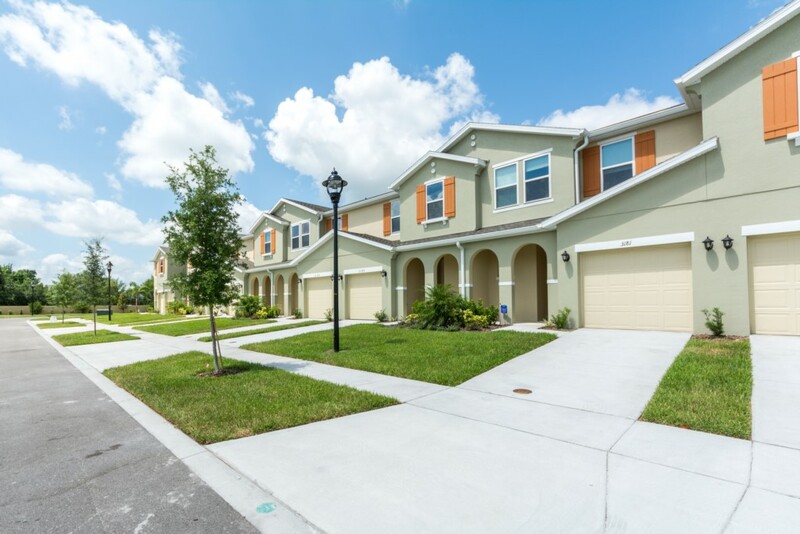 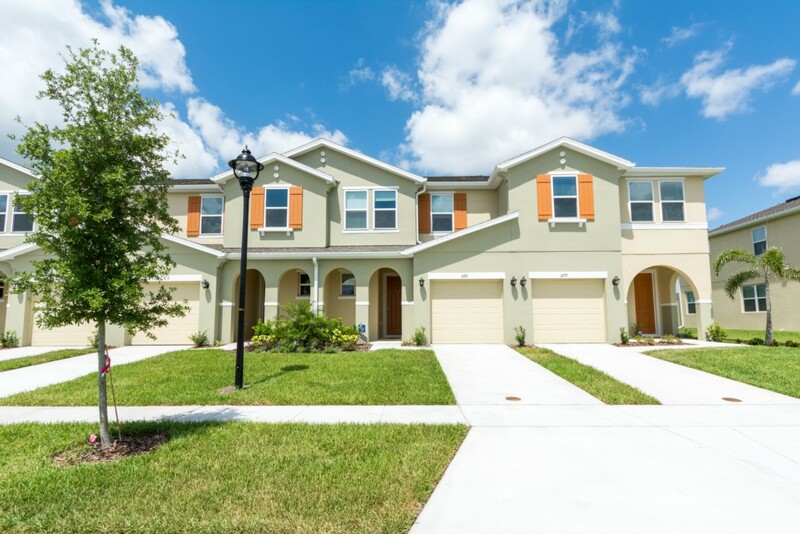 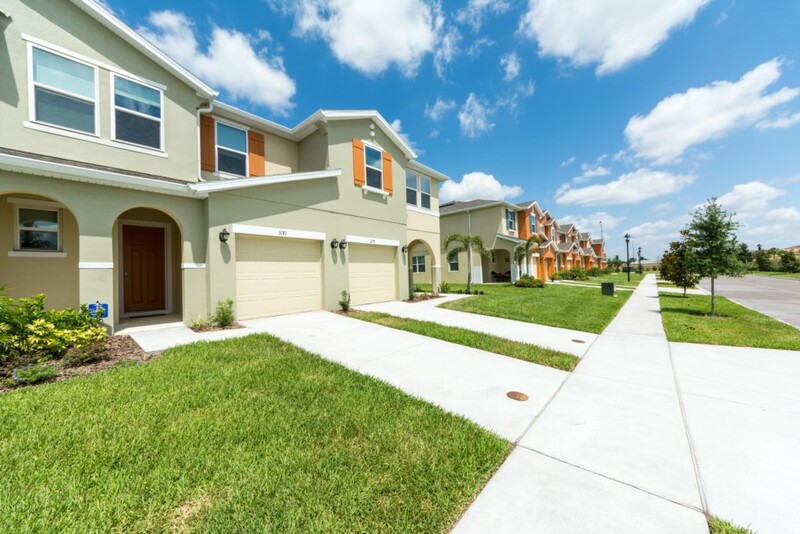 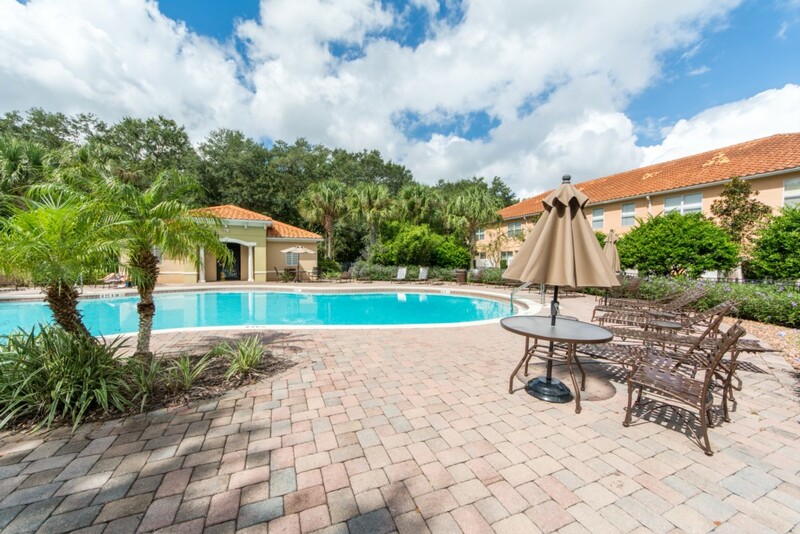 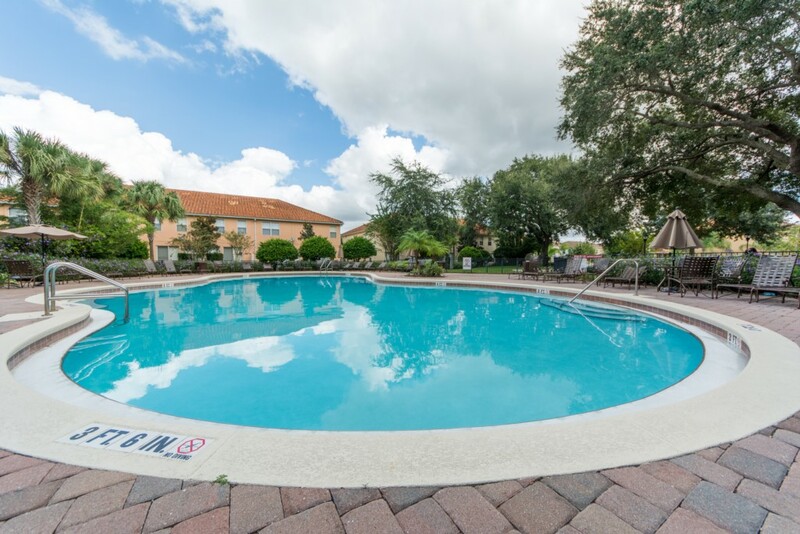 This vacation home in Kissimmee is located in Compass Bay Resort and offers a recreational area with pool and playground. 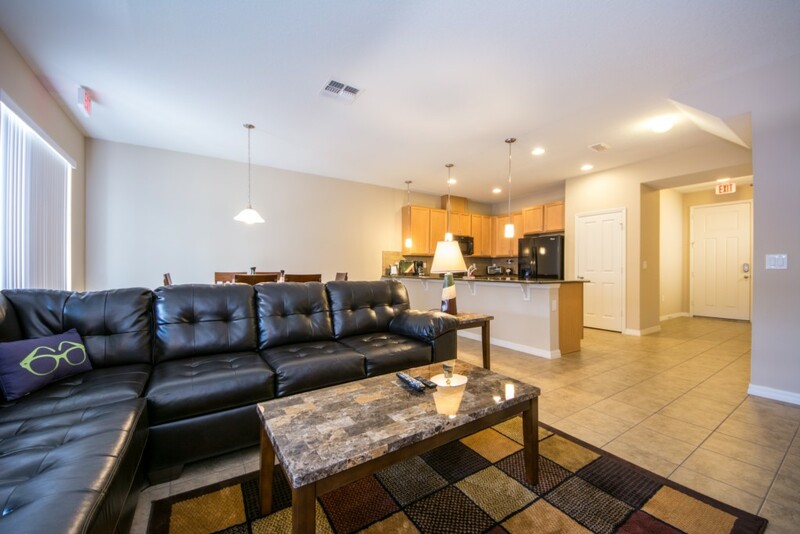 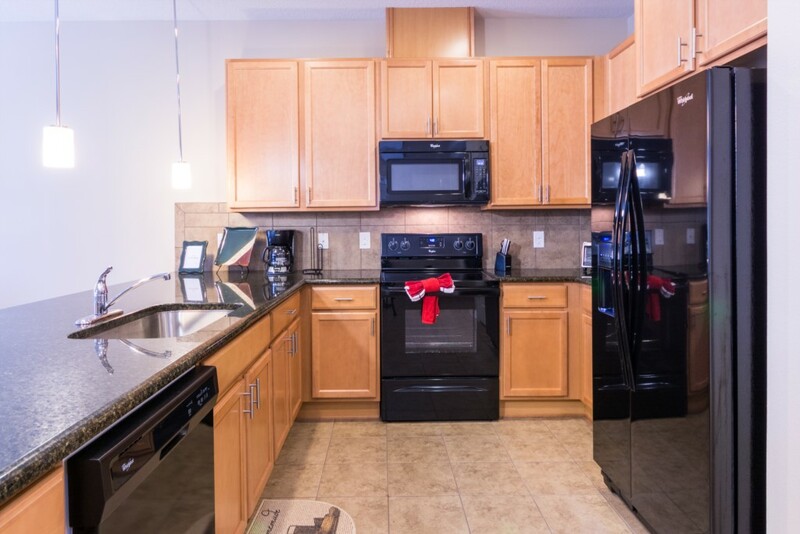 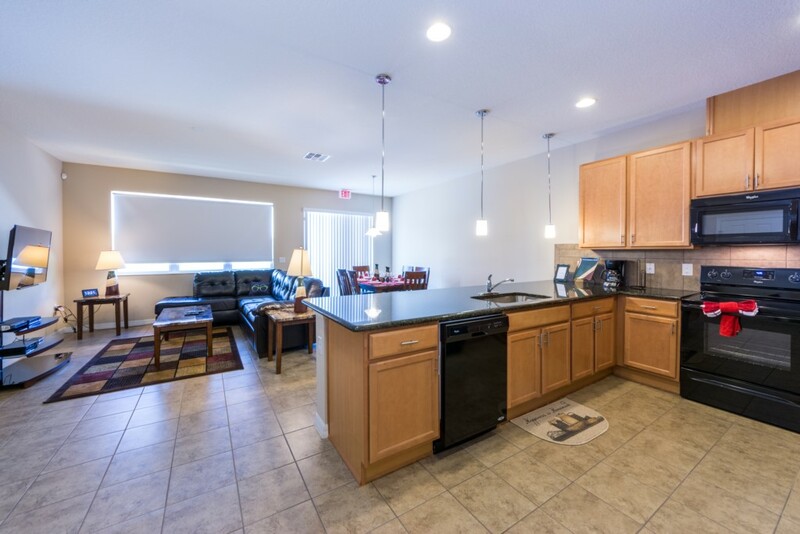 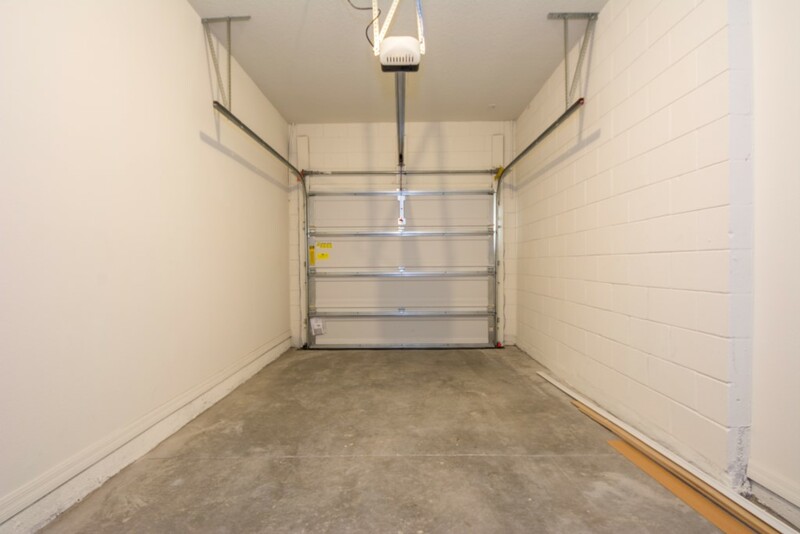 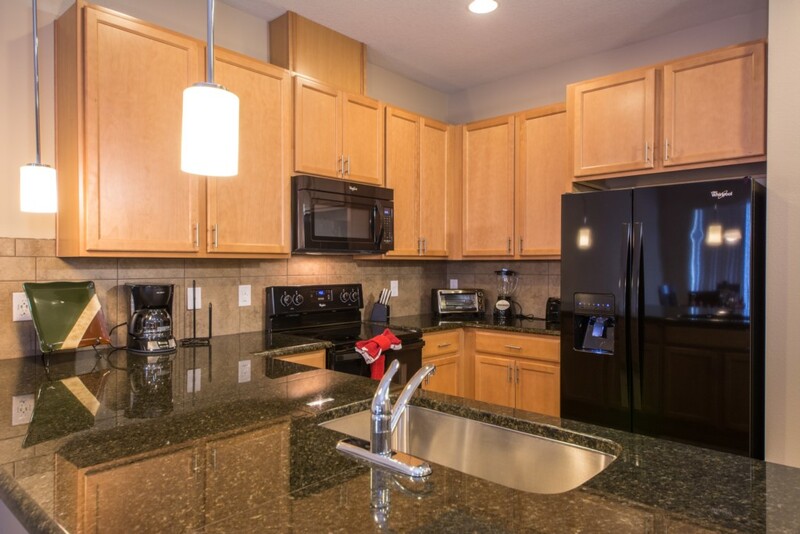 Centrally located, it is convenient to Publix, Wal-Mart and Target for any groceries you may need. 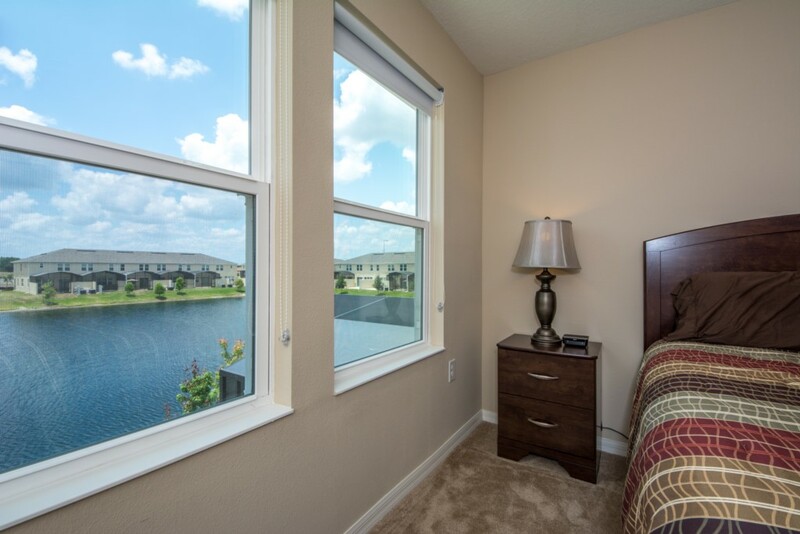 World class shopping is only 13 miles away at the Vineland Premium Outlets. 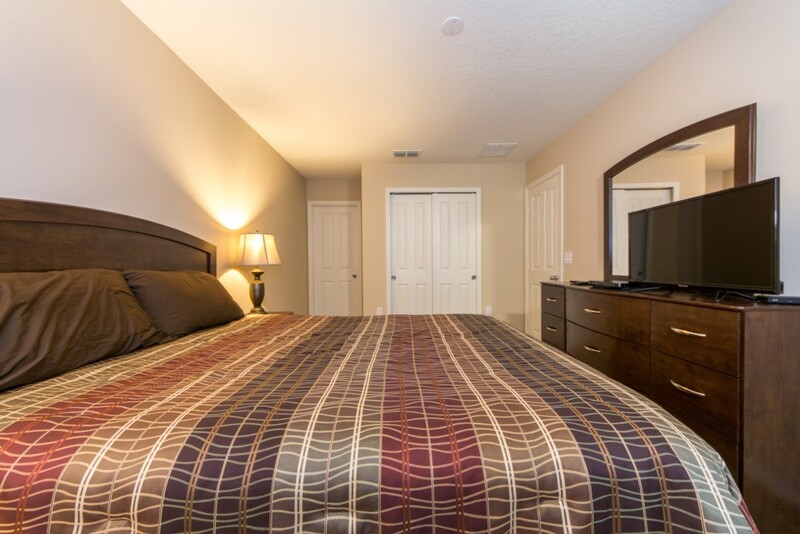 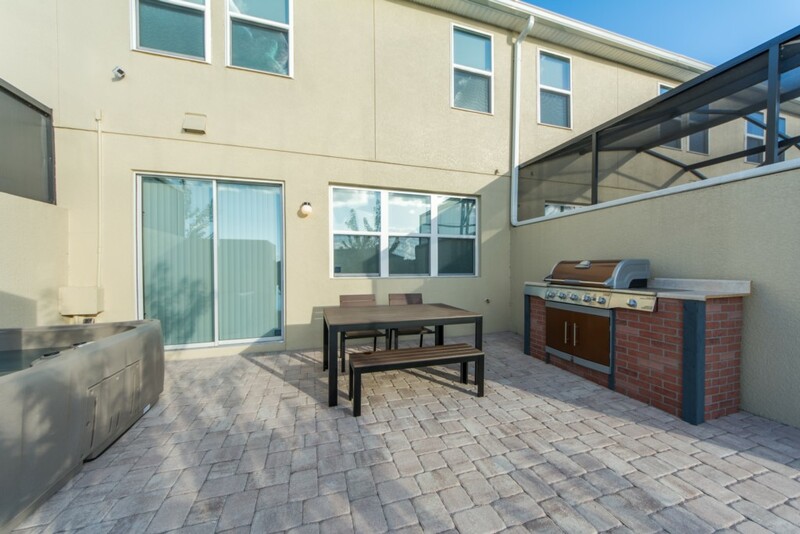 Located a short distance to the theme parks, restaurants, shopping and entertainment. 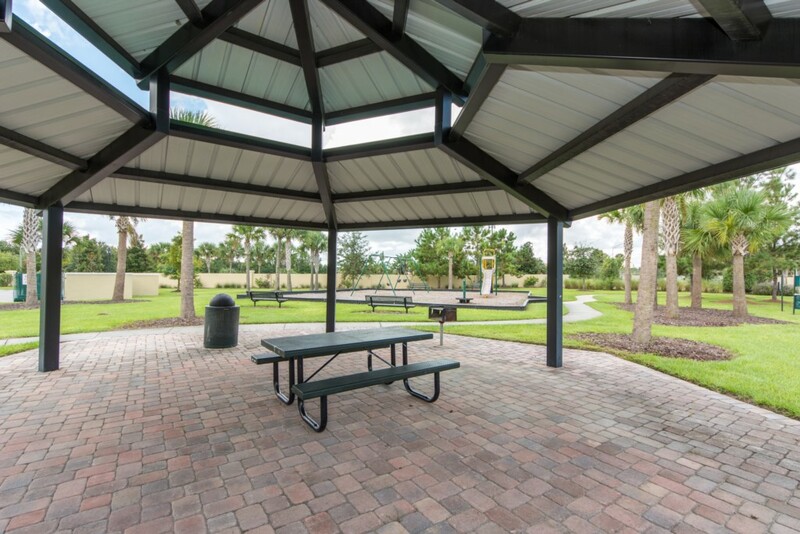 Conveniently located near US 192, Osceola Parkway, Central Florida Greenway and I4.